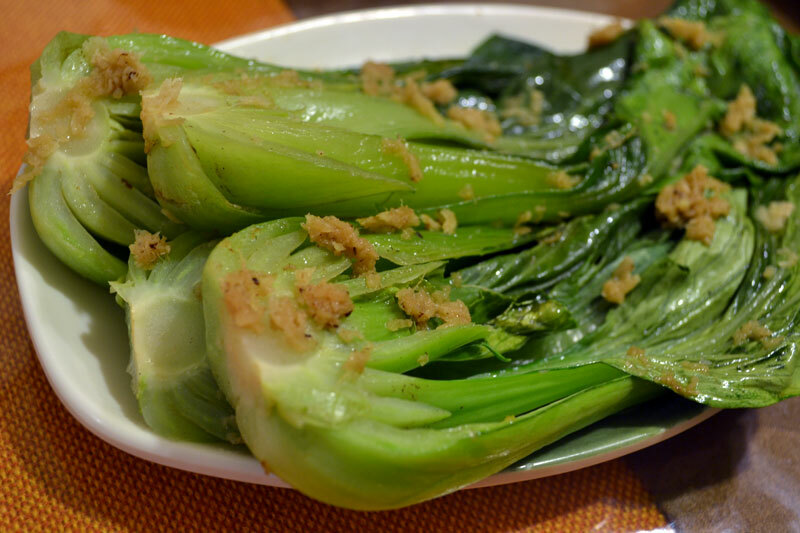 Filipinos are very familiar with the concept of boiling / steaming greens usually served with fish sauce and is a nice accompaniment to fried meat or fish. My favourites include the crispy tips of chayote/sayote greens, kangkong (water spinach), and kamote (sweet potato) greens. 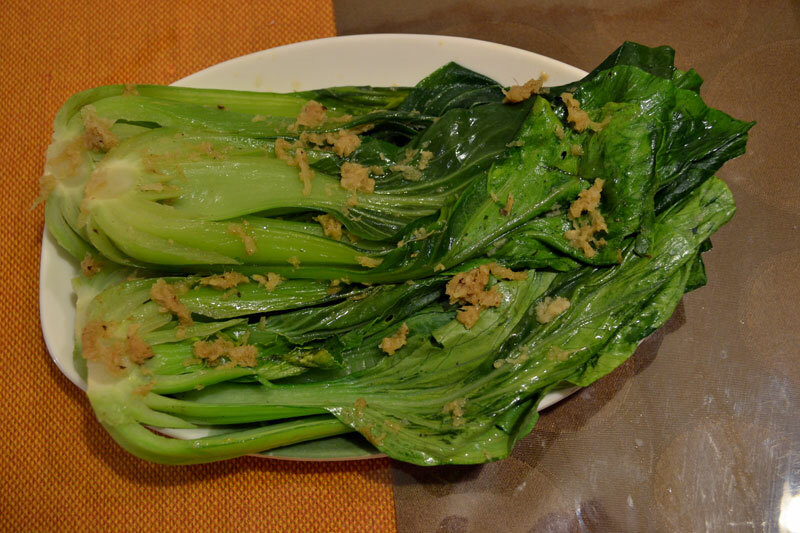 I am now including Bok Choy in that list. If you are keeping tabs on your salt intake, this gingered version will come handy. 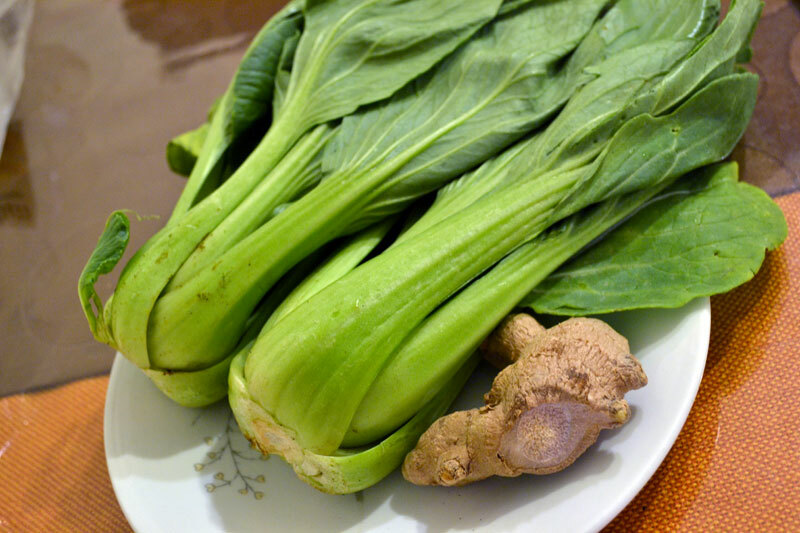 I am not sure yet how this treatment will work on the other greens I mentioned, but it's great with the bok choy. The leaves have a distinct flavour which is not masked by the ginger. 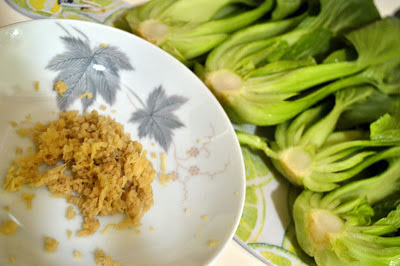 Cut the bok choy lengthwise and wash thoroughly. 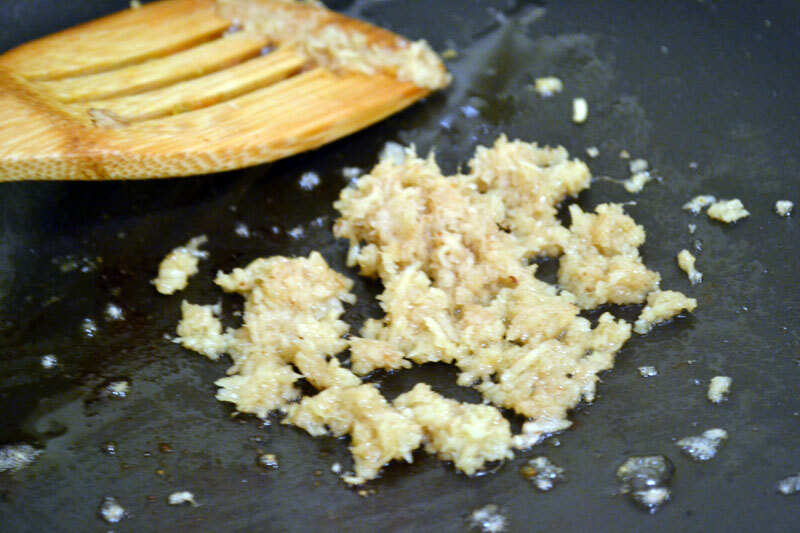 Heat up the oil in a pan over medium-high heat. Saute the garlic and ginger for a minute. Add the bok choy and water. Drizzle a teaspoon of salad oil or rice bran oil (optional). Cover for 2-3 minutes or until bok choy is withered. okay.. i'll try this. thanks!